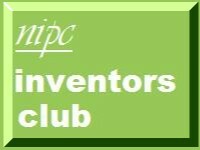 NIPC Inventors Club: Blackburn Inventors: "From Shed to Success"
My wife and I attended Ideas NW (Blackburn inventors club)'s jamboree at the Saturn Centre in Blackburn yesterday and very good it was too. The event is continuing today and readers in the area are urged to visit it. The Saturn Centre is a bit difficult to find (even for those who have been there before) but the event is well worth the trek. There is an exhibition which includes the Patent Office, their neighbours Awdurdod Datblygu Cymru, Forbes (a local law firm) who dispensed some rather nice orange bags - good to see some competition for Taylors who have had the IP solicitors' market in the old cotton mill towns more or less to themselves up to now - Lancaster University and our very own pd-m Ltd from Harrogate. There were also talks. I sat in on Chris Brown's of Manchester Patent Library which was very good. Also good was a talk by Mark Wyatt from Enterprise Ventures on venture capitalists. Like every such talk he stressed the prime concern of a VC was an exit strategy. I hinted that most of the bods there could make better use of a business angel which was a proposition with which Mark did not disagree. Altogether, it was a very good day and Basil Philipsz and his team are to be congratulated.